Subaru confirms the all-new 2019 Forester won’t get hybrid power. See what they did say about the new plug-in hybrid coming this year. At a Subaru of America dealer meeting this week, Subaru Director of Corporate Communications, Michael McHale told the group Subaru will launch a plug-in hybrid vehicle for sale this year in the U.S. market. This isn’t the big news as it was reported last year a new hybrid model was coming after they axed the Crosstrek hybrid. McHale did confirm the all-new remodeled 2019 Forester won’t be getting plug-in hybrid power. 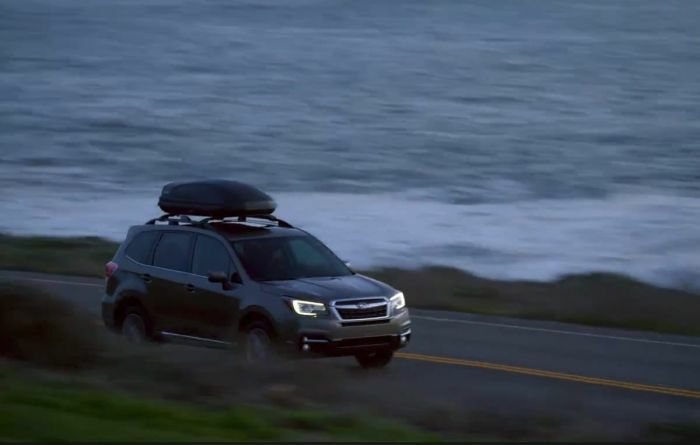 "It will not be a hybrid of the Forester, I can say that," McHale told Automotive News. Subaru Corp will unveil the all-new redesigned 2019 Forester at the New York International Auto Show this week, and the new SUV goes on sale in October. But it won’t be coming with plug-in-hybrid technology. What model will get the fuel-sipping technology? Like all new model launches, Subaru is being tight-lipped about the new hybrid. The only thing McHale would say is, "It will be a hybrid to one of our current car lines.” This was also reported last year when Subaru announced the hybrid would launch in 2018. We reported here at Torque News, the 2018 Subaru Crosstrek would be the current model in the lineup to get hybrid power. In July of last year, an unnamed senior Subaru engineer said the Crosstrek would be the next vehicle in the Subaru lineup to get new hybrid technology. He said the new gas model would arrive first, and the hybrid Crosstrek will launch soon after. “We’re looking at bringing the hybrid to market at the end of next year (2018)” said the source. It makes the most sense for the Japanese automaker because the multi-purpose 2018 Subaru Crosstrek crossover attracts the brand's youngest buyer, and millennials will be the most likely to buy this new fuel-saving vehicle. It has been confirmed, the all-new 2019 Subaru Forester won’t be the model in the lineup to get plug-in-hybrid technology. Why in the world would Subaru NOT choose the #1 Selling bread and butter vehicle, the Forester, to hybrid powertrain? The Crosstrek had lackluster sales, so why bring this vehicle back as a plug-in Hybrid? Geesh! Come on Subaru, you are torturing us all! Give us what WE want, please!! A Forester PHEV!!!! Probably in charge sustain mode, the plugin hybrid Crosstrek won't get above 35MPG EPA hey because Subaru will use an inefficient boxer engine again... And like 10 miles EV range with a 50HP electric motor in front and 30HP in rear. Just guessing.